Halloween is finally here, which means we have officially come to the end to Mikie Graham's month long Zombie Art Project. To celebrate the end of an eventful month of custom horror goodness, Mikie has created a special surprise to make sure October goes out with a bloody SPLAT! 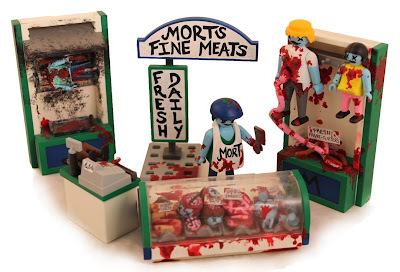 Seen here for the first time in its entirety is the one and only Playmobil Playset, entitled "Mort's Fine Meats"
"Mort has been providing fine cuts of meat and hand ground sausages for over 50 years. 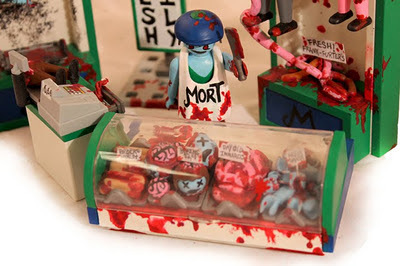 Priding himself on using only the freshest ingredients, Mort personally inspects each cut of meat he buys, selecting only the choicest carcasses to chop up and serve to his ravenous customers. 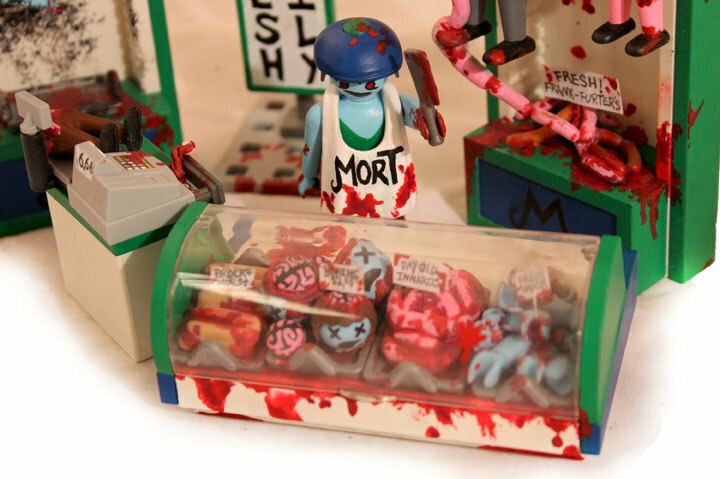 When visiting Mort’s Fine Meats make sure to sample his world famous “Frank-furters” made fresh daily out of Frank himself!" 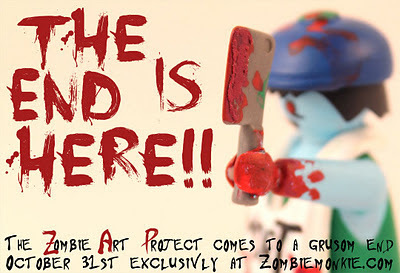 This special Halloween playset comes complete with four custom zombies along with a whole meat market full of fun accessories. From the stocked deli case (and slowly turning rotisserie child) to the bloody message scribbled on the back walls, this playset is truly a ghoulish treat for all zombie fans out there! 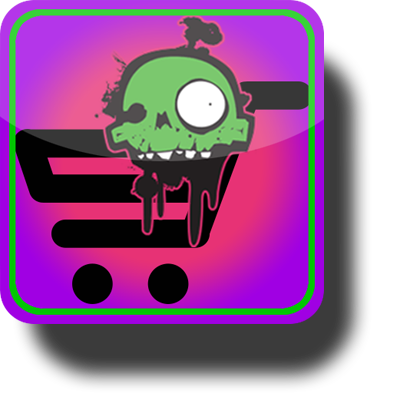 "Mort's Fine Meats" will be available on Zombiemonkie.com starting today, so grab this truly unique piece of one of a kind zombie art before it, like the month of October disappears! 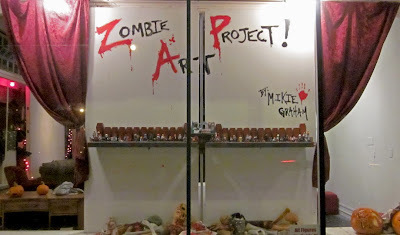 I love the little head in the display case!!! Fantastic!